Thanks for taking the time to visit my Pledge page! I’m now going to be participating in various individual and combined running/biking challenges throughout the UK, and will be starting with the London Duathlon this Sunday 13th September, and would like to raise as much as possible for this great charity. 3 years ago we lost a wonderful friend to ovarian cancer. One of the most outstanding persons i have known. It made me think about life and how i could help others and make a difference. I am asking for your support to fight against the SILENT KILLER, ovarian cancer. It is called the silent killer because it is often diagnosed too late for effective treatment. It is the most fatal of all gynecological cancers. However, with new understanding, and new technology comes the hope for change. Real hope, and real opportunity to save the lives of thousands of women. I aim to raise as much as possible towards the charity called THE EVE APPEAL www.eveappeal.org.uk. which is founded by my uncle, the husband to my wonderful friend. The Eve Appeal is supporting a research initiative, which aims to develop methods capable of reducing the number of women dying from ovarian cancer by 50% within 10 years. Each year, around one million women are diagnosed with gynaecological cancer worldwide. That's already 1 million reasons why i want to raise £1,000,000. It is 10 percent of all cancers in the world with a mortality of 50 percent. It has the worst improvement in survival-rate over the last 30 years. It attacks only half the worlds population, but AFFECTS EVERYBODY, tearing families apart. That's one million great reasons to have a fantastic charity like The Eve Appeal, which funds pioneering research into gynaecological cancers. The research program within ovarian cancer is the largest in the world, and the researchers are among the best in the world, with a close coorperation with all relevant research-centres worldwide. Just one of the important research programmes is the annual screening on 200,000 women, again the largest in the world, which will also help to prevent other diseases. women will survive...and that is what The Eve Appeal is about. Early detection! So clearly there is work to be done. So far, over 30 million pounds have been raised with the help of The Medical Research Council, Cancer Research UK, the NHS and other benefactors but we still need to raise a further 5 million for the research to continue. It's a MAJOR undertaking. But the real challenge is to save the lives of women -mums, sisters, nieces, aunts, friends, grandmas.... who develop ovarian cancer. With your help, we believe we can do it." Every penny counts, and if you're interested understanding how your support helps The Eve Appeal in more detail, then I will be more than happy to arrange this for you. PLEASE SPONSOR ME, and encourage my effort! Any amount in donation will make a difference!! I will support myself travel and equipment wise in an challenge, so every donation goes directly to The Eve Appeal. Thank you so much for your support and time! There is the link called 'guestbook' if you have any comments. Thanks! 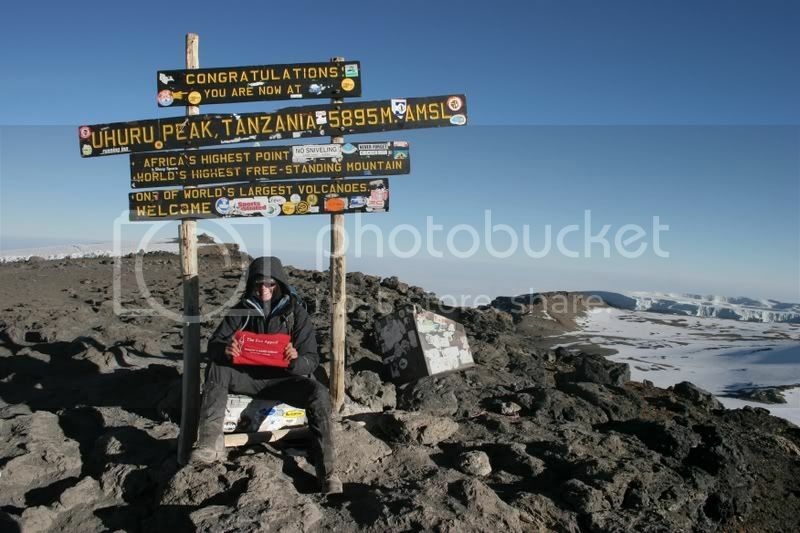 In July 2007 i reached the peak of Mnt. Gumachi and Mnt. Elbrus; the latter being highest mountain on the European continent, and one of the seven highest Summits in the world. It was a breathtaking experience, and one i will hold dear to my heart. Elbrus is in Russia, close to the Georgian border, and is a crater of an extinct volcano on a side ridge of the Caucasus Mountains, with about 50 glaciers that feed the Baksan and Kuban rivers. 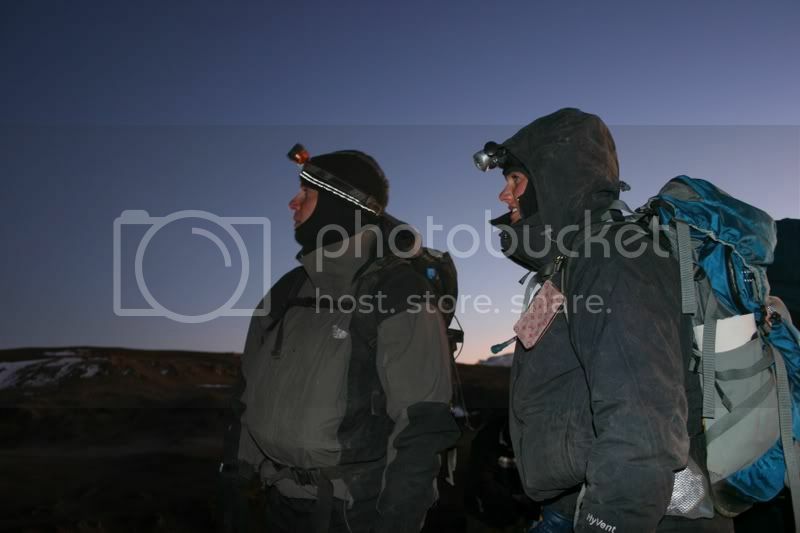 Elbrus's high altitude of 5642 meters (835 meters higher than Montblanc), strong winds, steep elevation, and permanent icecap are the main difficulties climbers face on the way to the Elbrus top.